Home > Go Media Zine > Small Business > Is It Too Soon to Invest in the Internet of Robotic Things? Comments Off on Is It Too Soon to Invest in the Internet of Robotic Things? New technologies come and go, regardless of whether people consider them innovative or exciting. Some of them have staying power, while others disappear into the abyss as if they were nothing more than an afterthought. Because the marketplace is so fast-moving, it’s difficult to determine what to invest in and when. That’s precisely the case with IoRT, or the Internet of Robotic Things. The niche derives its name from the Internet of Things and the Industrial Internet of Things, both of which involve smart, connected devices and sensors. Like anything internet-connected, robotic “things” can do more of the same. They continuously collect, process and transmit data, as well as offer a variety of connected functionalities — such as remote access. The technology also paves the way for further augmenting systems through compatible tools like AI, machine learning, big data systems and more. Markets and Markets predicts the IoRT market will be worth nearly $21.44 billion by 2022. We’re not that far off, which means we should start seeing its adoption ramp up. Just because a market is on the rise, however, doesn’t necessarily mean it’s the best time to invest, particularly for an enterprise operation. We are becoming increasingly dependent on robotics, especially in manufacturing. But the question remains: What role do smart, “connected” robots play? Who’s already using them, and how? What’s the outlook of that rollout? Is it promising, or is it something everyone should wait to implement? In many factories and plants, robotic systems aren’t just about automation — they’re also essential for eliminating dangerous environments and situations. For example, tasks that involve human workers repetitively lifting heavy supplies or components and putting them onto a conveyor belt or feeding them into a machine have a prolonged impact on their bodies. Even with proper support, the stress of the job can cause short-term injuries, as well as deteriorate parts of their body in the long term. Many are familiar with what happens to your knees or back when you’re lifting heavy objects day after day. More than a million Americans work in a warehouse facility, and roughly 51,550 workers get injured or killed on the job every year. Implementing advanced robotics can prevent many of those injuries — even deaths. The risk is higher in facilities or operations that do not use such robotics. IoT allows them to interface with other nearby equipment and machines, but also to interact with their human counterparts. Think collaborative or cooperative robots that work alongside human laborers, as opposed to replacing them altogether. Many high-profile manufacturers are already doing this, improving working conditions and boosting efficiency for their operations. Outside of manufacturing, yet still related to the supply chain, is the logistics and order fulfillment section of the market. Internet robotics come into play here not just in terms of boosting efficiency and capability, but also improving the working conditions for the human workers. Much like in manufacturing, smarter robots work alongside their human counterparts. An automated storage tool might follow one worker around the warehouse floor, carrying heavy goods and shipments. Another might operate as a computerized forklift, pulling pallets or items from on high. Amazon is the best-known proponent of this kind of technology, and they actively use devices like collaborative robots and smart shelving systems. These devices help in the order picking and retrieval process, primarily because Amazon’s warehouses are so extensive. Manual, human-only fulfillment would take an incredibly long time, as workers would need to traverse the space to find goods and then move them to the appropriate areas. The company is even taking all this a step further, dabbling in drone-based delivery in certain local markets. It seems a tad silly at first to consider the consumer electronics side of things. That’s especially true when it comes to talking about highly capable, internet-ready robotics. What can consumer tech do that’s so great? When you look at the kinds of devices that are hitting the market, it becomes immediately apparent there is plenty of innovation. Consider smart or robotic vacuums, for example. On the surface, something so simple seems almost ridiculous. But these devices incorporate a wide variety of sensors, impact-measuring tools and advanced software to navigate the home, sans human command. They can move about a residence cleaning up various spills and debris, then roll back into a charging dock when their battery is low. It’s almost exactly the kind of technology in use for Amazon’s warehouse robots — though Amazon’s tech is slightly more advanced. Imagine if smart voice assistants like Alexa or Google Assistant had access to a robotic arm. They could easily do something like preparing and cooking food for a modern family. Indeed, they could take over many household chores, like laundry, mowing the lawn or even working on the family car. These are just three, fairly early examples of real-world IoRT applications. As with the IoT in general, it’s easy to see how promising and beneficial the technology can be. In only a few years, Amazon has amassed a robot army of 45,000 strong, and that number is still growing. They wouldn’t be doing that if they didn’t see efficiency and output gains. Ultimately, the takeaway is that now is the perfect time to invest in the Internet of Robotic Things. There is still some time before it grows to dominate the marketplace and it certainly warrants more research and training in the next few years. That doesn’t change the fact that it’s skyrocketing in popularity. Surely, the competition will be considering adopting IoRT if they haven’t already incorporated the technology. 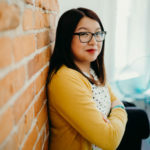 Lexie Lu is a freelance UX designer and blogger. She enjoys researching the latest design trends and always has a cup of coffee nearby. She manages Design Roast and can be followed on Twitter .